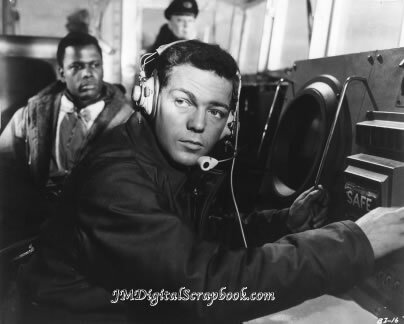 THE BEDFORD INCIDENT occurred as a movie back when Johnson was President. Let’s hope it doesn’t occur in real life, now that neocon-pushed insanity has renewed tensions with Russia & China. Back then, film fretting over looming holocaust had percolated since the 50s (go way back to Five in 1951) and paranoia went to town after JFK was killed—Seven Days In May, Dr.Strangelove, Fail-Safe—with this nifty thriller sailing into view in late 1965. The USS Bedford cruises the frozen North Atlantic, playing cat & mouse with Soviet subs. Scoop-scenting reporter Sidney Poitier tags along to see if captain Richard Widmark is playing with a full deck. Martin Balsam, James MacArthur and Eric Portman co-star in 102 tense minutes directed by James B. Harris. Along with the anxiety of the chase, face-offs between Widmark and the other actors give the movie punch. He patterned his obsessive ‘Captain Finlander’ after Barry Goldwater—it’s one of the actor’s best roles of the 60s, his personal favorite. Grossing only $2,600,000, trailing at 92nd place for the year, as movies about keeping pressure off-the-trigger-finger fare about as well as urging Joe Sixer to read something besides football scores. 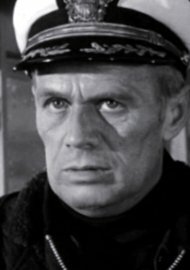 Even in black & white, Widmark’s stare chills like blue ice. 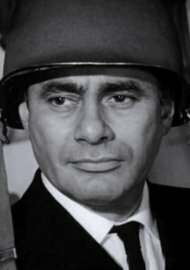 Poitier is relaxed and personable as ever, Balsam flustered to a tee, MacArthur nerve-strained to the point of shattering. With Wally Cox and an un-billed Donald Sutherland, age 29, with about three lines. Ending is a classic.